"The Los Angeles heavy, stargazing outfit Palms was forged out of an explosive collision, as Deftones vocalist Chino Moreno joined forces with critically-lauded post-metal group ISIS, venturing into bold sonic territory that careens from kinetic churning guitars to quiet, atmospheric moments mining rich emotional environments. 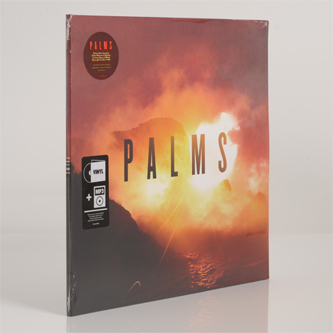 Palms’ self-titled Ipecac Records debut is wrought with dark anthems and intense textures, shoring cinematic, introspective interludes with tidal waves of distortion. From the ashes of ISIS, the band’s skeleton crew Bryant Clifford Meyer (guitars, keyboards), Jeff Caxide (bass, keyboards), Aaron Harris (drums, electronics), were faced with a decision: turn away from music or begin to build again. “After a little time Jeff, Cliff, and I decided that it was insane that we all still lived here in Los Angeles and weren't playing together,” Harris says. “It just sort of happened naturally, probably because we have been playing together for so long, and things started to come together. But we didn't want to be instrumental: We wanted vocals. 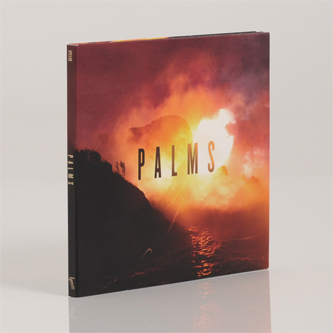 We just weren't exactly sure who that would be at first.” Topping their shortlist of singers was Chino Moreno, whose vocal complexity interfaced seamlessly with the multifaceted vision of Palms. Harris, who also recorded and engineered the album, had heard that Moreno was an avid follower of ISIS and approached the singer with the new project. “I love the dynamic range that Chino is capable of,” Harris says, “He can go from light and airy to sounding like he's got acid in his throat. His lyrics grab you and make you want to know more. I love that.” Moreno immediately accepted. “A chance to work with the guys from ISIS sounded like a lot of fun,” Moreno says, “I've always been into the atmospheric sounds they had created with that project and felt my sense of melody would meld well with theirs." Moreno’s dynamism balanced the tectonic shifts in Palms instrumentation, as he howls over Meyer’s searing guitar that ignites a conflagration when mixed with of propulsive rhythms by Caxide and Harris on the climax of “Shortwave Radio.” While creating the genre-obliterating album, Caxide says that their cumulative experience helped evolve their creative process. “We communicate much better than we did in ISIS,” he says, “No one is afraid to speak up if they don't like something and our roles are not confined only to the instruments we play.” Culled from “subconscious inspiration” as Meyer says of his intricately crafted keys and guitars, these sonic textures accumulate like sediments, providing dense layers that set the foundation for Moreno's skyward-arcing voice. Then there’s the slow-burning “Antarctic Handshake,” which pairs crystalline guitar chords echoing into space as Moreno’s voice, both distant and resounding, pensively ruminates over subtle, sweeping synths: “It’s time to let go.” It’s a statement, a question, or, perhaps, an invitation; these cryptic lyrics acting as an empty vessel for the listeners to ascribe meaning, or maybe a mirror reflecting back secrets dredged from deep within. “I’ve never been one to talk about my lyrics, never have been,” Moreno says about the words he channels into song. “Musically I don't approach any project differently from one another, meaning I don't have preconceived ideas on how things should sound beforehand. It's really just hearing the music and being inspired then reacting to it. 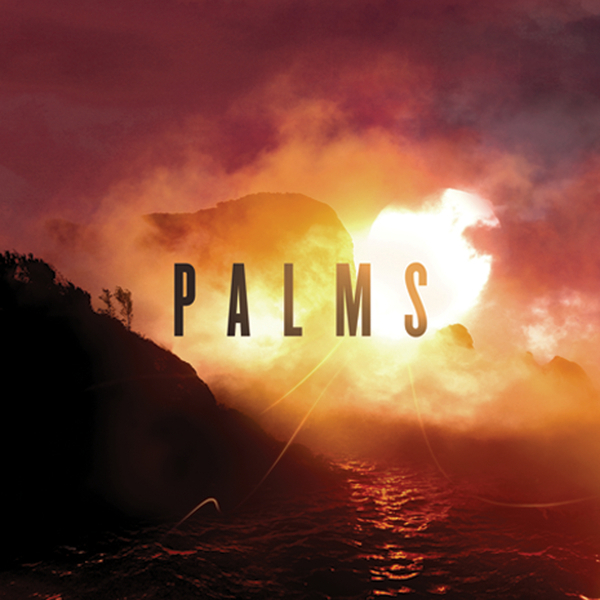 But the emotional affect of Palms’ album is distinct: it moves and is moving; a perpetually forward-lunging exploration of moments both epic and intimate as all-enveloping loudness bleeds into piercing near-silence. It’s an evocative aesthetic that could score the soundtrack to dystopian films, or scorched-earth world of post-Apocalyptic novels, that resilient spring that follows a Nuclear Winter. These are songs with a sense of urgency, the inertia of breaking apart, and the energy of building it all again."